Africa is a continent of great diversity but, despite this diversity, the countries part of it share much in common – not only their colonial origins, but the similarities in the obstacles they face. Football, at times, is one of the few solutions to the problems. For days leading up to a match in volatile regions, people have been known to stop the bloodshed all in the name of the beautiful game. Bloodshed doesn’t grind to a halt in African only – when Hamas and Fatah fought each other for control of Gaza in 2007, the only day the guns fell silent was when Al Ahly took on Zamalek in the Cairo derby. Fear can hold you prisoner, hope can set you free. Football provides hope. African boys and men only have to look at the African players plying their trade in Europe to hope of what-could-be. In 1965, one of the first rags-to-riches story was of the Malian Salif Keita, uncle of Barcelona’s Seydou Keita, who escaped in secret to France after hearing Malian officials were likely to stop him from moving to France. In the twenty-first century, several players playing for major clubs in the world are African or have parents who are. Certainly, on the monetary side of the game, football clubs, particularly in Europe, scramble for African talent in a way that is reminiscent of how the west scrambled for the continent’s resources. We aim to compile a list through a combination of objectivity and subjectivity. In creating a list like this, due to our half-objective approach, we can only go by the evidence we have. 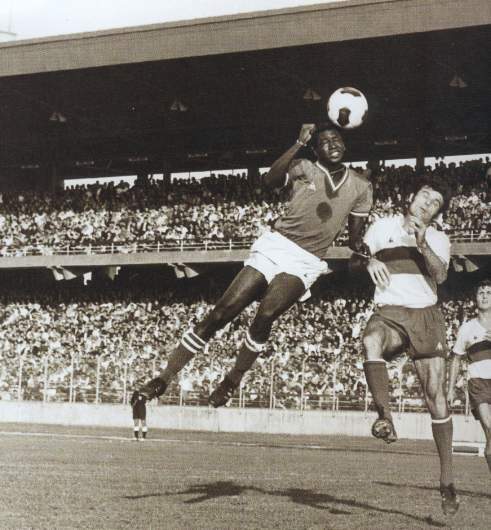 And herein lies one of the problems with the list – not much of Africa’s rich football history has been written down which makes this extremely difficult in comparison to, say, creating the top 60 players of all-time in Europe. This list doesn’t purely rank the most talented or skilful players in Africa but also looks at how they used that ability and takes into consideration what they won, the influence they had in the teams they played and the impact they had (especially if they played in Europe). As a result, there is natural bias towards those who played in top European Leagues and international tournaments (especially the World Cup). After all, the biggest examination of a player is of one who has played in the biggest leagues in the world, in an environment that is alien to them and been able to adapt and apply their ability efficiently. That’s not to say that those who never got the chance are overlooked, we try to assess them in just as a scrutinising manner. For many parts of Africa are or have been volatile regions with war and corruption rife, these are circumstances out of a player’s control. Of course, the corruption is also mirrored in the football governance of many African countries. An issue to solve was who to consider who qualified as African. For example, would Patrick Vieira, who was born in Senegal but opted to play for France, be considered African? The answer was no. This list strictly looks at those who have chosen to represent African countries so; for example, Kevin Prince Boateng was taken into consideration, even though he wasn’t born in Africa, as he represented Ghana. Ultimately, like most lists, this isn’t a complete list, the lack of evidence from the African continent in general means it was very difficult to compile. However, we hope that it’ll be a nod towards the right direction and as we evolve the list will be reviewed, taking the suggestions of our followers into account and other parties.